The Wanted, a boys band from the UK, is considered to be one of the biggest new discoveries in the music industry. The teenage girls love One Direction (especially Harry Styles), and the lads have been breaking all kinds of records, but The Wanted are appealing to the whole another audience - grown up gals (and fellas) who appreciate top-quality pop music with a little bit of electro and a little bit of rock. If you're a fan of those high-tempo, feel-good tunes with the kick and snare banging, this band will most definitely become one of your favorites. Oh, you already love it? Great, then let's check out some interesting facts about Tom Parker, one of the brightest members of the group. - Alright, so, Mr. Parker was born on August 4, 1988. His hometown is Tonge Moor, Bolton (the United Kingdom). Tom Parker is his real name, not a stage "nickname". - Interesting facts about Tom Parker. His hair color is brown (that's a really important piece of information for the ladies), his star sign is Leo, he likes his tea with 2 sugars, he has hazel eyes, and he has one sibling - a brother (his name is Lewis). - When the future superstar first took his bro's guitar in his hands, he instantly fell in love with it and decided he had to master it no matter what it took. He was 16 years old back then. So, yeah - he's your regular, normal British kid who had a dream, tons of motivation, and, of course, talent. - Amazing fact about Tom Parker: the very first song this fella learned on the guitar was Wonderwall by Oasis. Come on, that's a pretty great song if you wanna learn to play the instrument! Oh, and one more thing: Definitely Maybe, the band's legendary album, was the first LP Tom bought! I guess you could call him a fan :). - Mr. Parker is engaged! Yep, he proposed to his girlfriend, Kelsey Hardwick a few months ago. By the way, he met her in a pub. Aha, who says you can't find true love in a pub?! - Aha, back in 2007 Tom auditioned for the show/competition, but never made it past the first round. After that he started working in McDonald’s for a while. 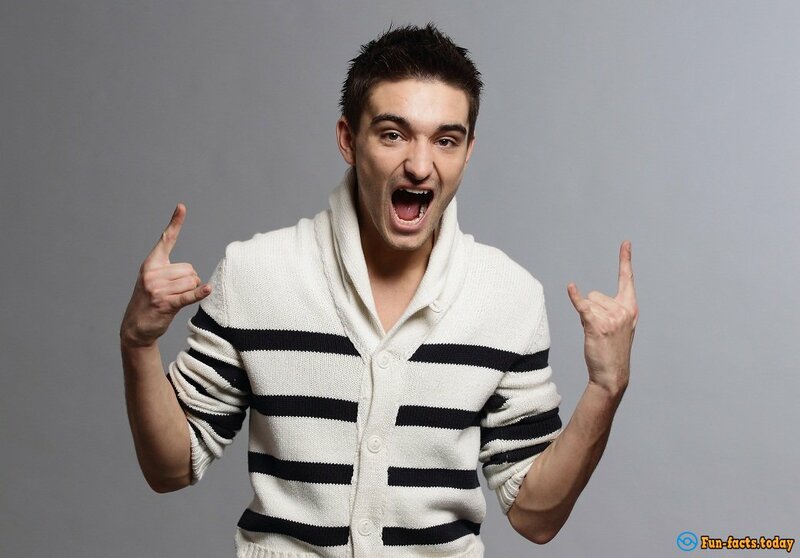 - Interesting facts about Tom Parker: He joined The Wanted in 2009, used to have a ridiculous blue stripe in his hair (he did admit that it was horrible, though) and has a "Rock ‘n’ Roll" tattoo on his side. Crazy fact: He once "went to bed" with 5 girls at once! - Despite the fact that he used to study Geography (can you believe that? ), he dropped out to focus on his musical career. He's a terrible dancer! - Mr. Parker is a fan of Angry Birds, a highly addictive mobile game. Final interesting fact about Tom Parker: he said once in an interview that he cheated on each one of his previous girlfriends! So, what about Kelsey? Well, some fans hope that their love will be endless and they'll have 10 kids. Others (the ladies, I mean) wish Tom would end things with her so he could be a bachelor again! Alright, that's it for today! If you want to learn some amazing facts about the other members of The Wanted, make sure to check back with us regularly!